Life can get difficult at times and this is the time that many people dig deep within themselves and achieve the impossible. 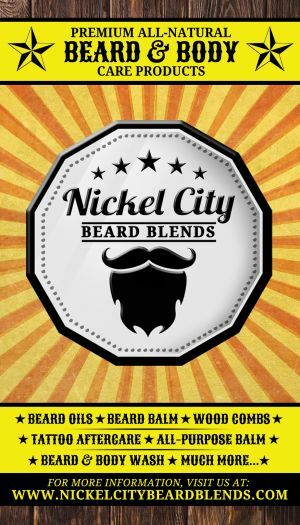 No matter how many times life knocks the following 17 people down, they get back up and face any obstacles in their way. 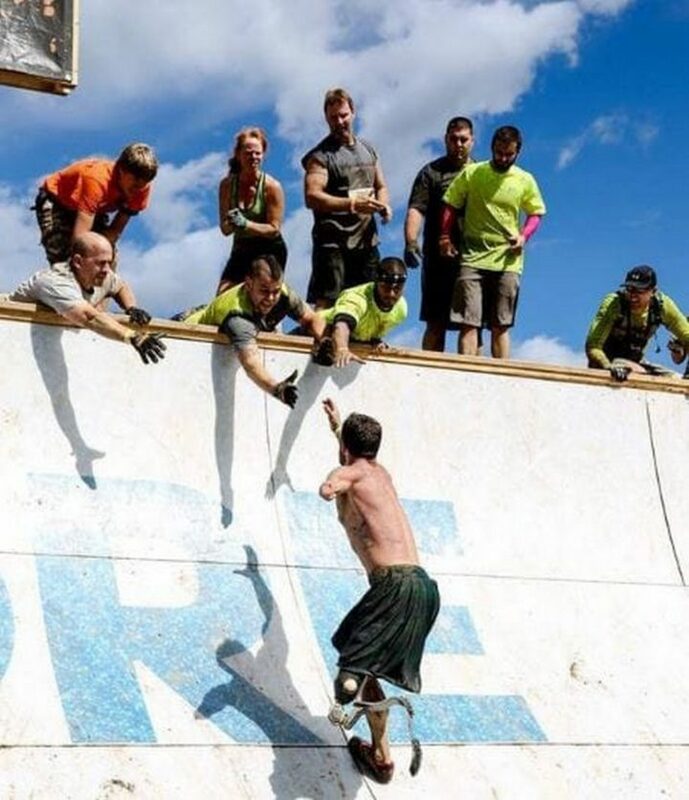 1) Double-amputee Iraq veteran 10 miles into the Tough Mudder competition and getting a helping hand from fellow competitors. 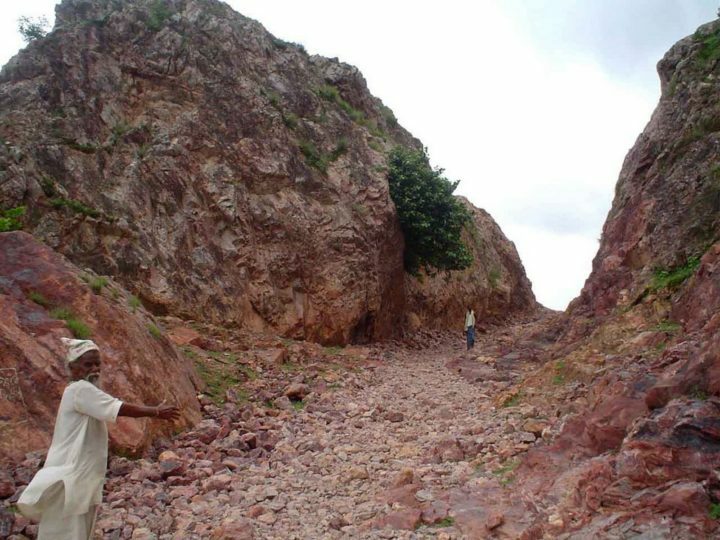 2) In order to get access to the healthcare his community needs, Dashrath Manjhi spent nearly 22 years carving a pathway through the mountain separating his village from the city using only a hammer and a chisel. 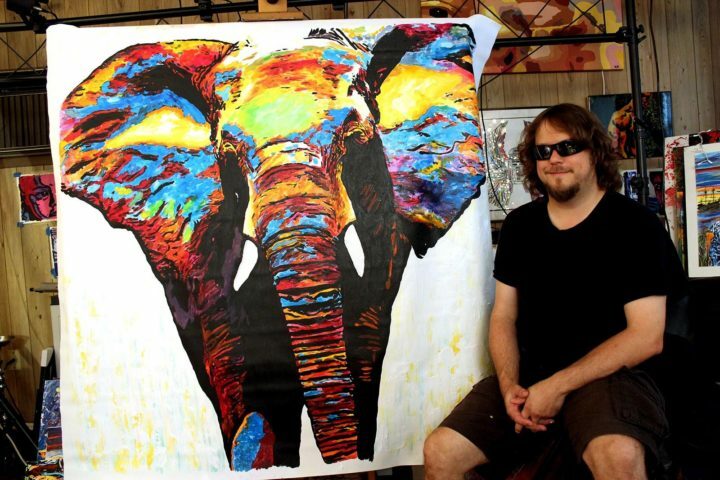 3) John Bramblitt, a blind painter, creates incredible artwork using only his sense of touch. 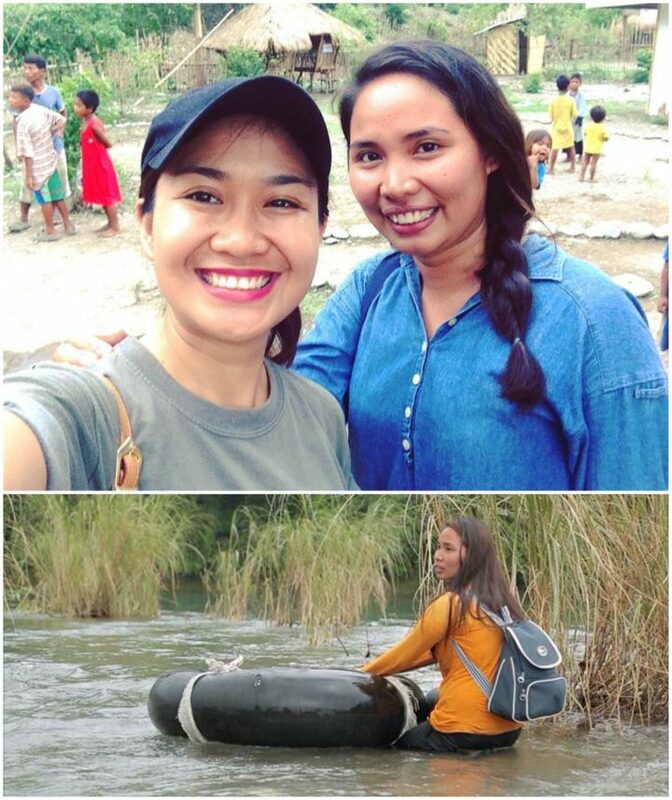 4) This Filipino teacher has to walk two hours and cross five rivers every single day to get to school and her students. 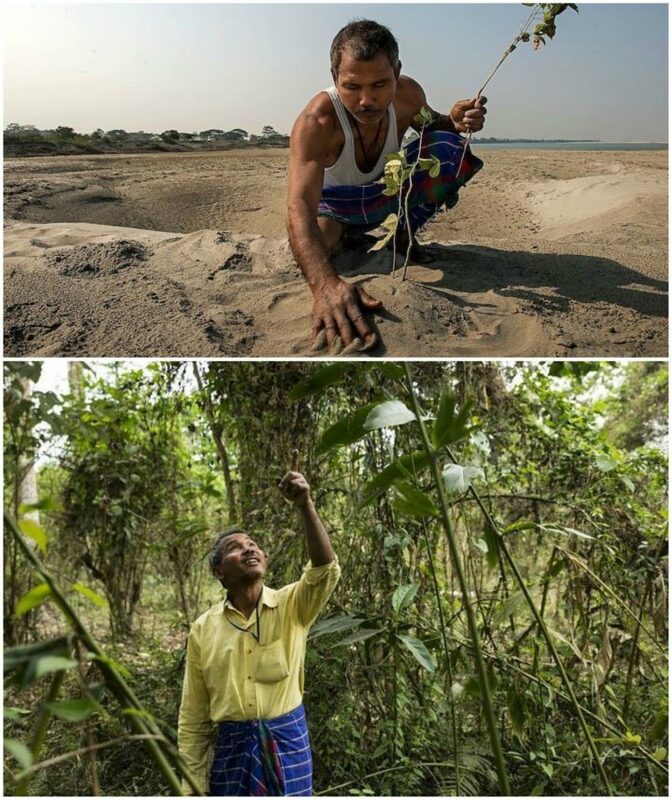 5) Environmentalist Jadav Payeng began planting trees at the age of 16. 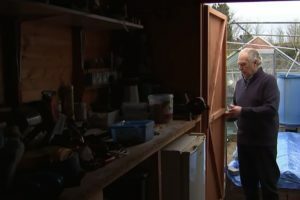 37 years later and many tree plantings later, he has reaped a forest that exceeds 550 hectares. His forest is home to Bengal tigers, rhinos, deer, rabbits, and other animals. 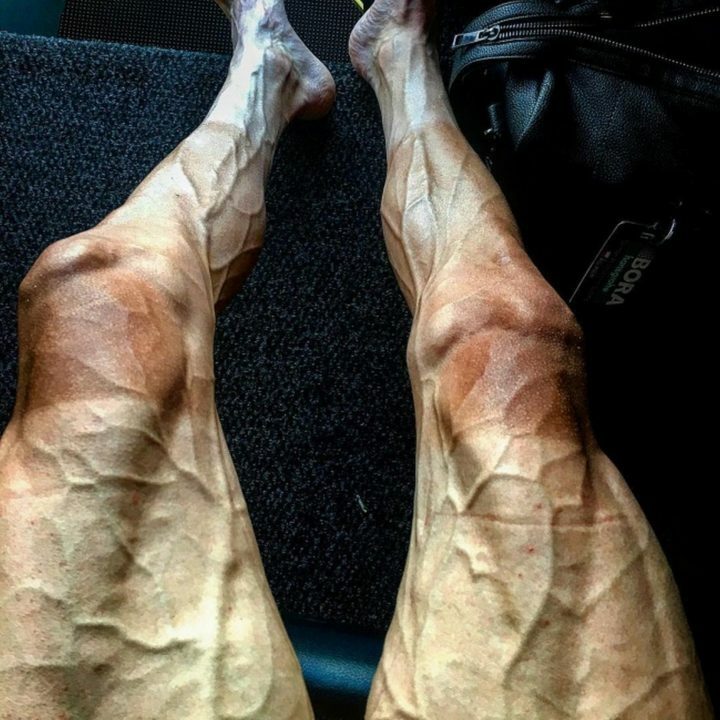 6) Cyclist Paweł Poljański’s legs after 16 race stages of the 2017 Tour de France. 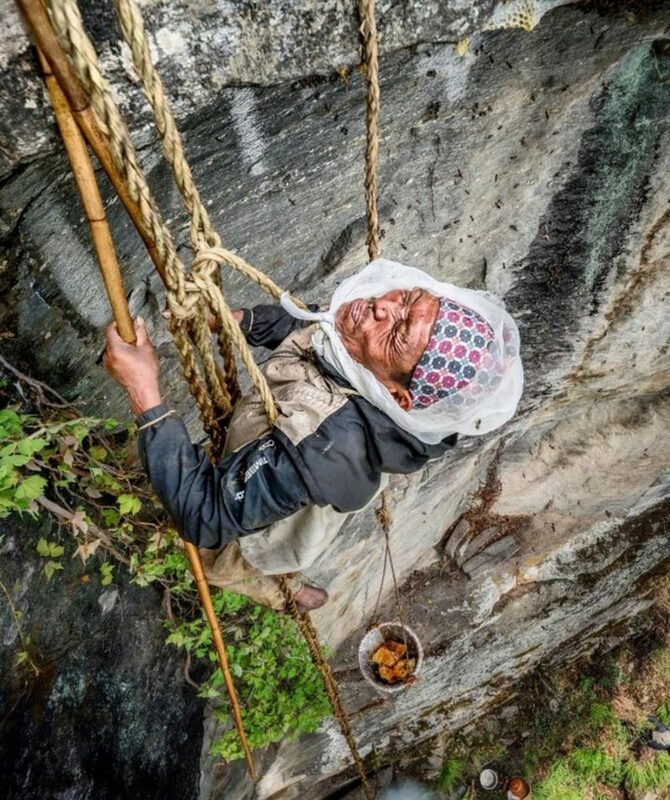 7) Honey hunter Maule Dhan coming back to camp with beeswax after a honey hunt. 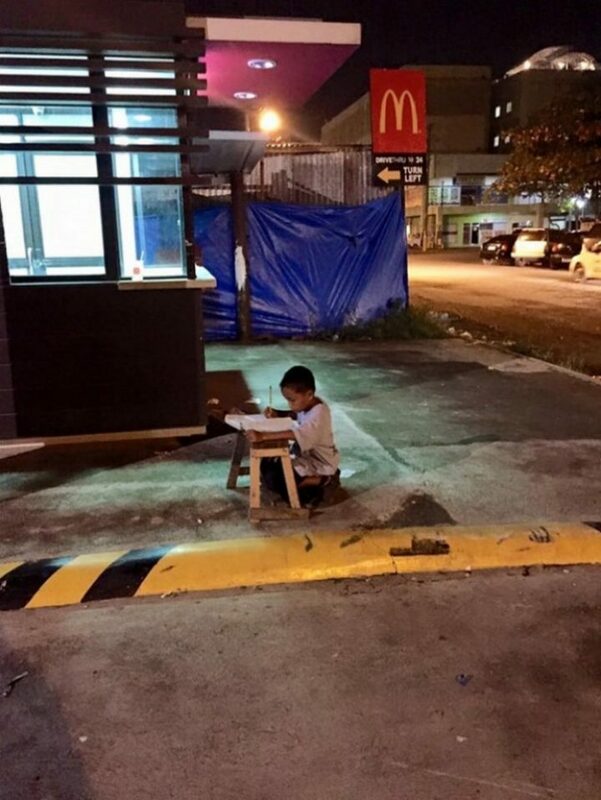 8) 9-year-old Daniel Cabrera completing his homework on a makeshift desk on the pavement and using faint light from a nearby McDonald’s restaurant. 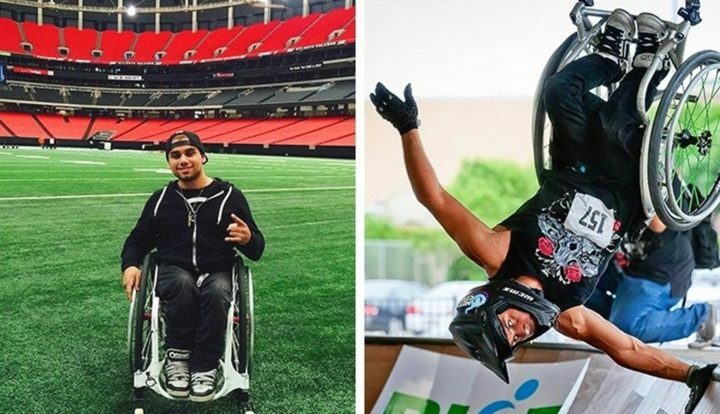 9) Aaron Fotheringham professionally skateboarding and doing a handplant in a wheelchair. 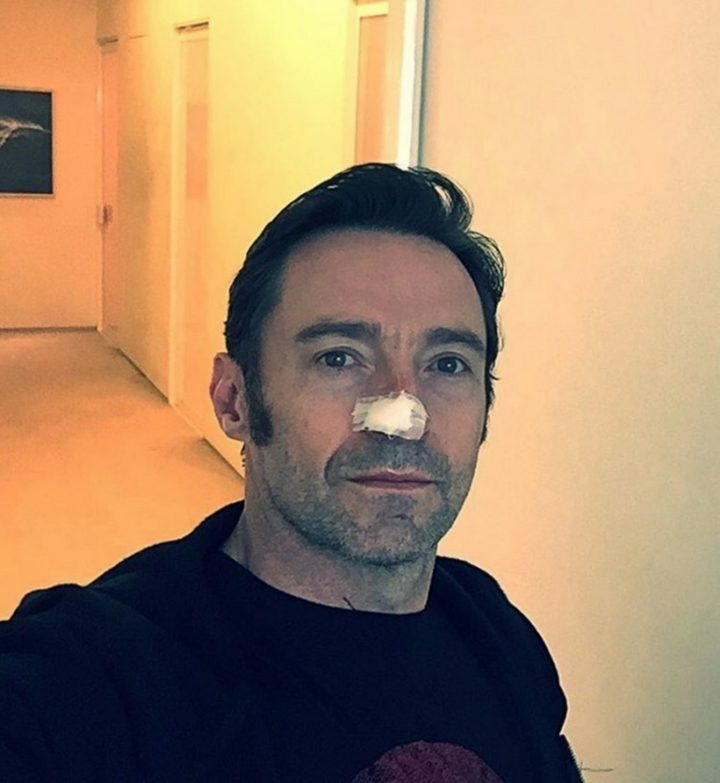 10) Hugh Jackman winning his 6th battle with cancer in 2017. 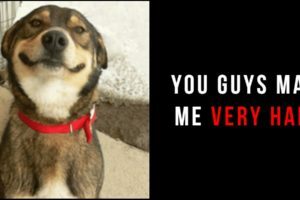 He has been treated five times for carcinomas on his nose and once on his shoulder. 11) Vanessa Low, a 2016 Paralympic champion performing a world record-breaking 4.93-meter long jump. 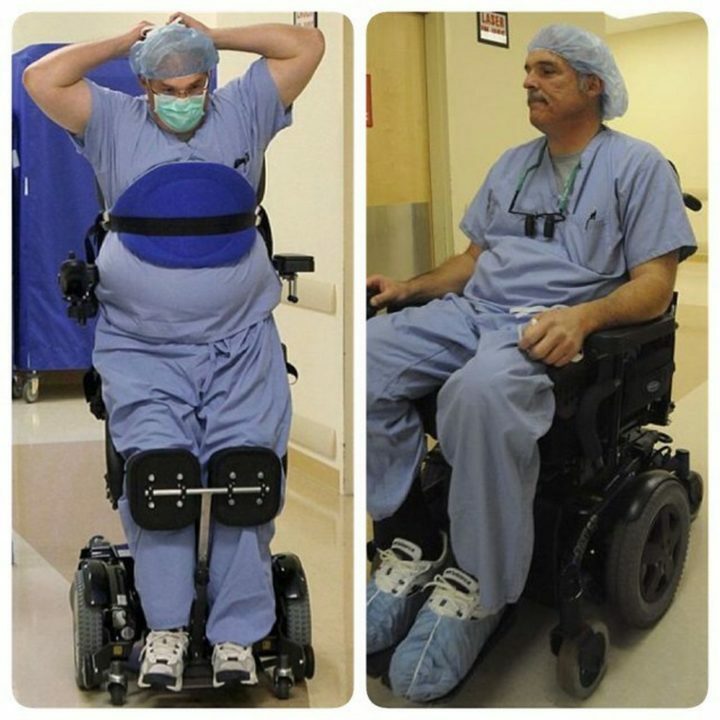 12) Ted Rammel, a paralyzed surgeon continues to work in the OR in a custom stand-up wheelchair. 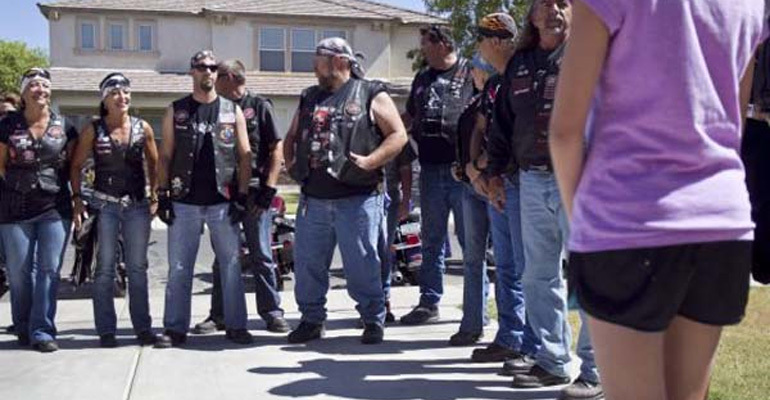 In 2010, a blood-filled cyst in his spine burst and left him paralyzed from the waist down. 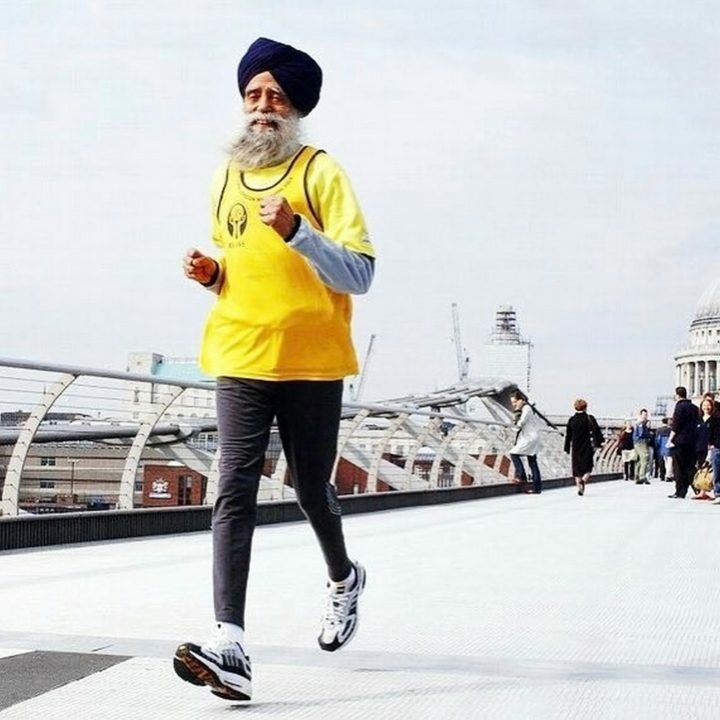 13) 100-year-old Fauja Singh finished Toronto’s waterfront marathon in 8 hours, 25 minutes, and 18 seconds, making him the oldest marathon runner to complete a run of that distance. 14) Ballet dancers doing intense stretches while rehearsing. 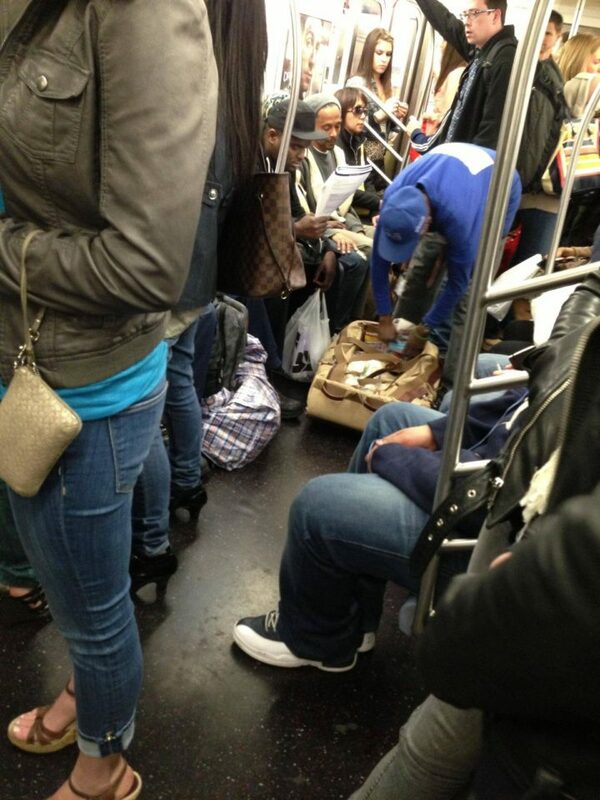 15) A person that was once homeless now providing sandwiches to people in need in the subway. 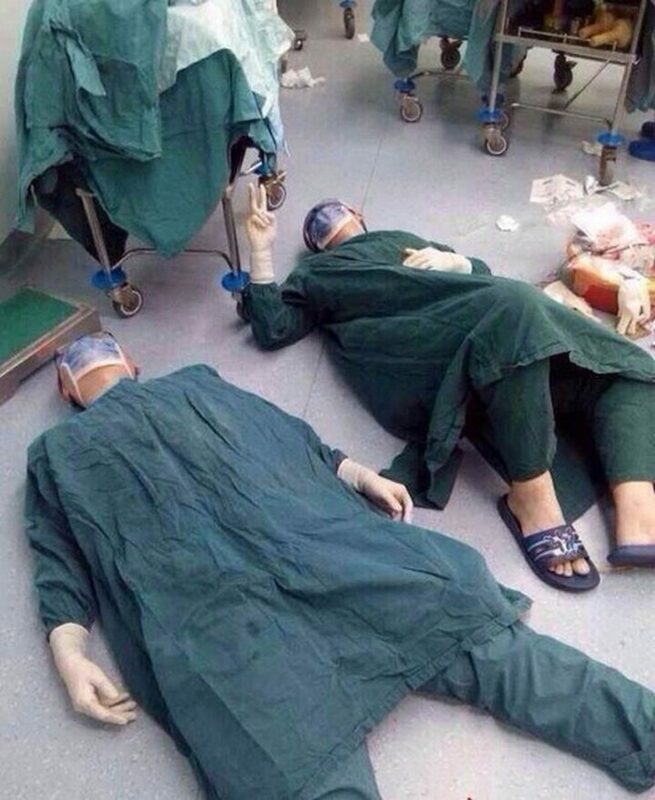 16) Two surgeons resting after a 32-hour surgery to remove a set of brain tumors. 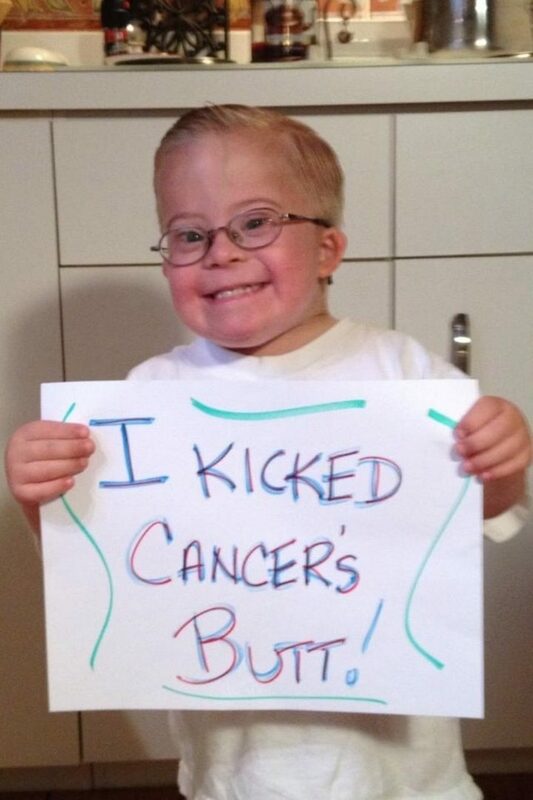 17) Full of smiles after beating cancer. 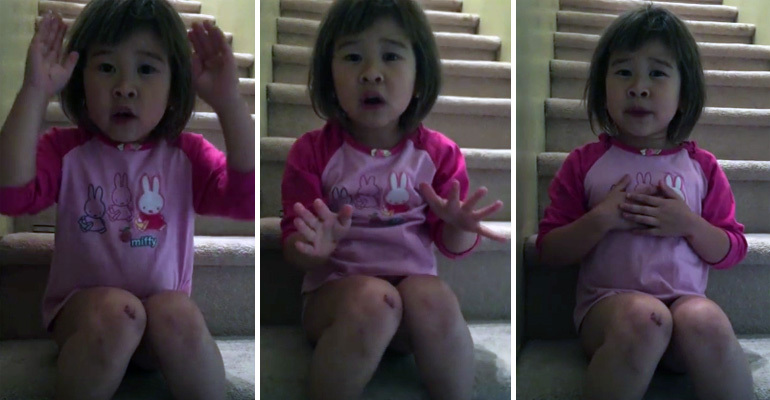 if you enjoyed these photos, view more powerful photos to restore your faith in humanity. 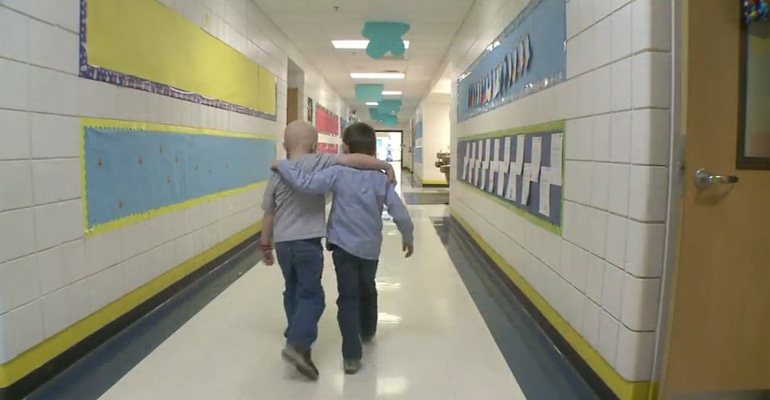 The human spirit is incredibly resilient and the following people are incredibly inspiring. 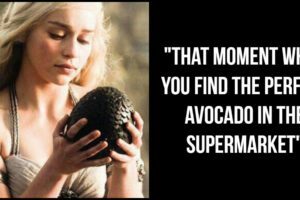 Please share these photos of people triumphing over adversity with your friends and family.